Currently acts as Manager of Securities Lending and Short-Term Investment Strategies for Princeton University and The Robert Wood Johnson Foundation and as Consultant for a number of banks and other financial institutions. Mr. Nazzaro, until the formation of his firm, was a Divisional Vice President and Director of the Securities Lending Division of the Trust Department at First Pennsylvania Bank. Mr. Nazzaro founded the program at the Bank upon his arrival in July, 1984. 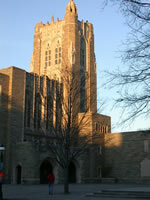 Prior to joining the Bank, he spent nine years with Yale University working with their endowment. Mr. Nazzaro had been Yale's Cash Manager and Director of Securities Lending. Mr. Nazzaro holds a B.S. Degree in Finance from Seton Hall University and a J.D. Degree from the Quinnipiac University School of Law. A. 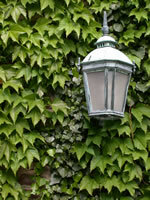 A. Nazzaro Associates is located in Bucks County, which is in close proximity to Princeton and New York. Mr. Sheehan is responsible for the daily lending activities of all client portfolios. He negotiates rebates on all outstanding loans and ensures daily collateral sufficiency. He is also responsible for the effective reinvestment of cash collateral and ensures that all investments are in accordance with the individual investment guidelines and policies established by each client. Mr. Sheehan is in charge of all lending operations and works directly with our custodians to maintain effective security movement and the tracking/processing of coupon interest, maturities, dividends, corporate actions and conversions. His other primary responsibility is the management of our information systems and technology. He has designed and implemented all of the systems and networks required for efficient operation since the firm's inception in 1987. Mr. Sheehan designed a proprietary in-house Securities Lending relational database. The system integrates all of the data available from our various custodians, tracks each security loan, manages balances by broker and account, and generates daily and monthly reports. Prior to the start up of this firm, Mr. Sheehan worked with Mr. Nazzaro in the development of the First Pennsylvania Bank Securities Lending program. Mr. Sheehan holds a B.A. Degree in Economics from Rutgers University and an M.B.A. Degree from Drexel University. He resides in Doylestown, Bucks County, PA with his wife and two children. Ms. Morschauser is responsible for the lending of Domestic Equity and Debt issues. She is responsible for numerous operational activities related to the lending of securities to counterparty borrowers/broker dealers. One of her primary roles includes ongoing communication with the Borrower community and the transacting of loans and returns of securities. In addition, Ms. Morschauser is responsible for the daily review and renegotiation of rebate rates for all outstanding loans. On a monthly basis, she is the main liaison with the responsibility for review and verification of audit confirmations of all monthly statements received from the lending counterparties. Ms. Morschauser is also responsible for the monthly audit and reconciliation of the rebate/billing for all lending activity for the month with each borrower and payment authorization. Ms. Morschauser assists in the reinvestment of cash collateral, and is responsible for all office operations. She is the Office Manager and is responsible for its accounting policies and banking relationships. She has been with the firm since its inception in 1987. Ms. Morschauser holds a B.S. Degree in Finance from Rider University. She resides in Yardley, Bucks County, PA with her husband and two children.